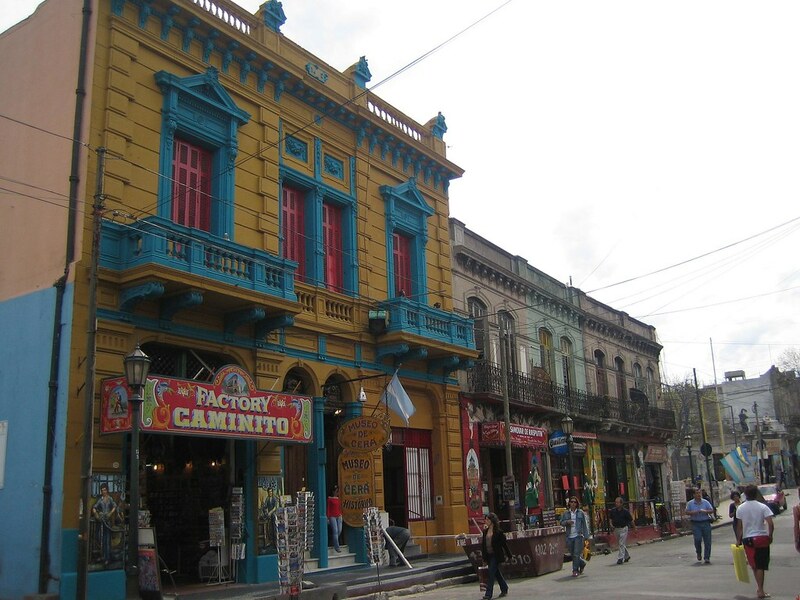 La Boca is a neighbourhood, or barrio as its known in Spanish of Buenos Aires. 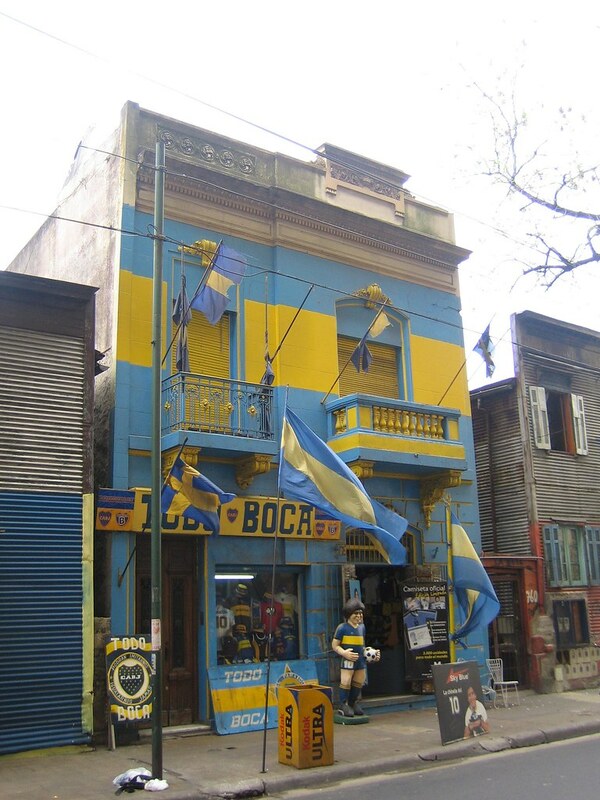 Originally settled by Italians from the city of Genoa the area is probably most famous for being the home of football team Boca Juniors. 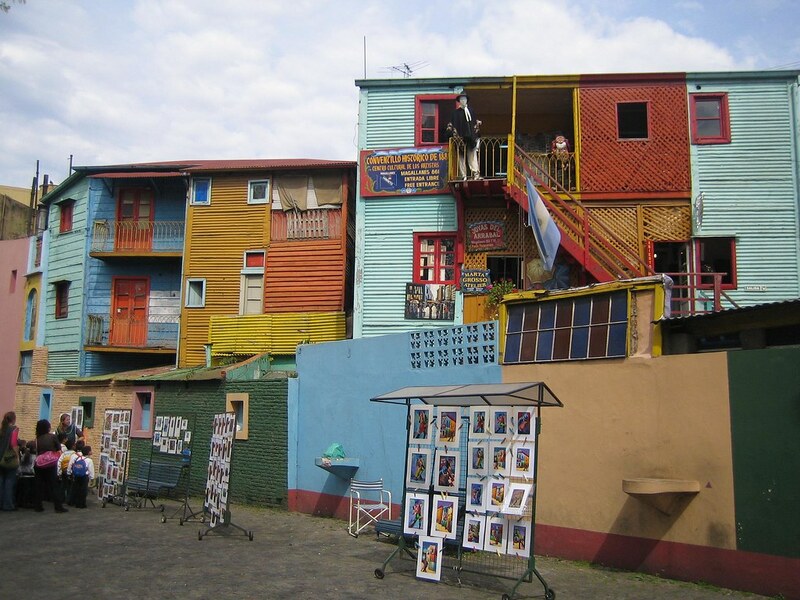 La Boca is well worth a visit for its colourful houses made of corrugated iron and pedestrian streets where tango artists perform and tango-related memorabilia is sold. There’s also plenty of restaurants in the area as its a popular tourist attraction. 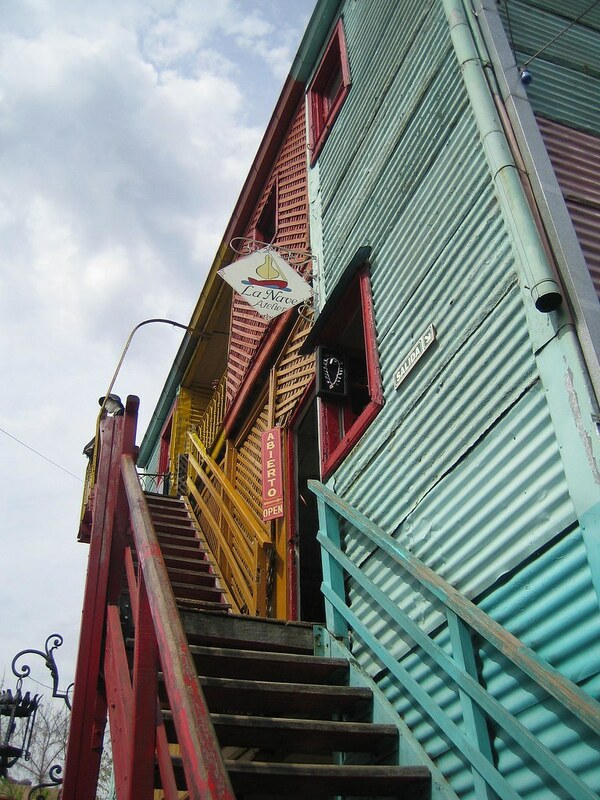 Its worth being careful which way you walk to La Boca though, we went a way we later found out was warned about in the guide books but it didn’t seem to dodgy to us. 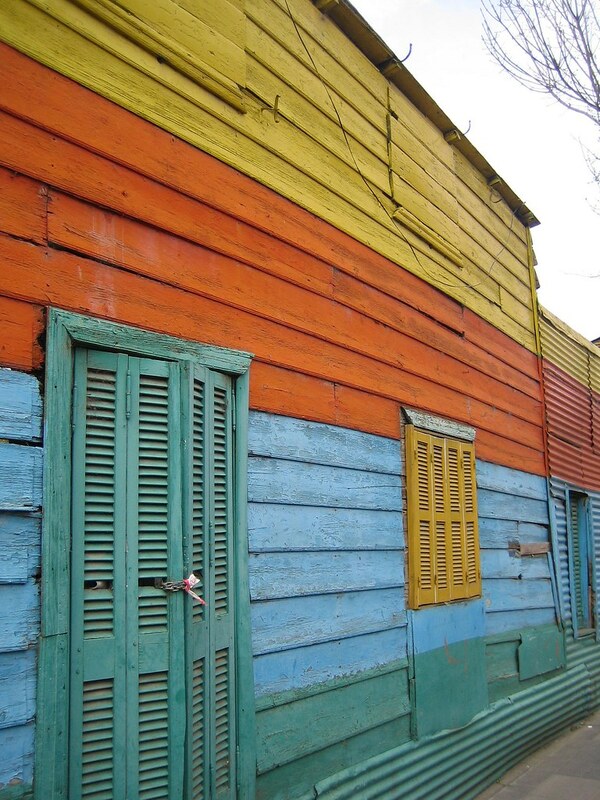 Great photos of La Boca. This area was definitely a highlight of my recent trip to BA. People visiting should consider taking a biking tour of the area and of the city in general – its a great way to get around. I went through Urban Biking (http://www.urbanbiking.com)and had a great time. There are a few other bike tour companies in BA as well. Amazing pictures, getting me very excited for my trip.